The Dreamaster 2500GC is our own pioneering superior waterbed. The Dreamaster Bed was developed by our innovation team, and represents the best of the best. The Dreamaster bed is manufactured proudly and exclusively in our Jimboomba factory USING LOCALLY SOURCED PRODUCTS, LOCALLY PRODUCED TO OUR SPECIFICATIONS/ DESIGN. 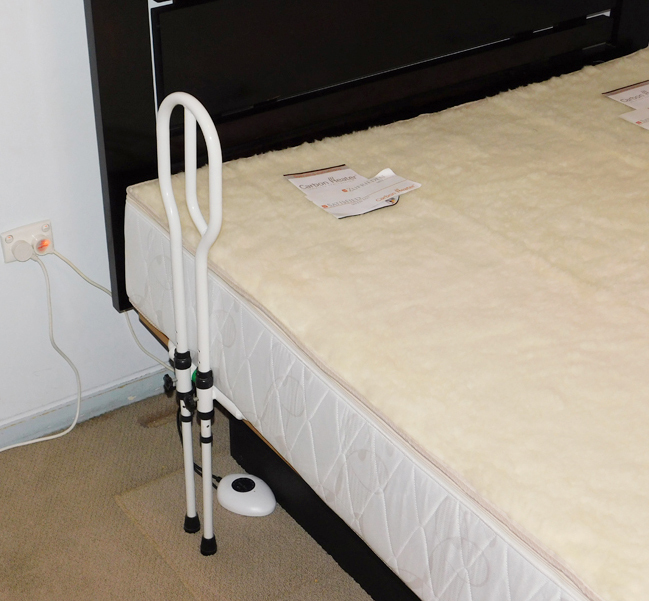 You can see and feel the difference of our newest and best waterbed in our Chermside showroom. In our showroom, we have a full range of Dreamaster waterbeds, with different comfort levels so you can try each level and find the perfect bed for you. Also on display are our twin bladder ‘duet’ systems. We have listened to our customers over the last 30 years, and we have innovated as a result to ensure that we make the best quality waterbeds available. This is the Dreamaster. We have seen everything in 30 years, good and bad, and as a result of all this knowledge, we offer to you the best waterbed money can buy. The Dreamaster 2500GC with the Diamond Ovation 555 mattress. The Dreamaster Bedding System is a combination of 30 years of hard work, innovation, ingenuity and most importantly, listening to our customers. There are many options available for the Dreamaster Softsider Waterbed System including deep well foam baths, different bed configurations (for example slat bed, ensemble, timber frame or pedestal etc) and lambswool, quilted zippered covers and even comfort tops for a little bit more luxury. The Dreamaster Duet system, with 2 different bladders in the same bed, each with its own comfort settings and temperature control is on display in our showroom. HOW HIGH WOULD YOU LIKE IT? Our designers and craftsman can build a waterbed for you to any specifications. If you would like the waterbed higher, to help getting in and out of bed, we can build it. Our new generation waterbeds are also compatible with after market devices like this, which makes getting in and out of bed easier. The best part about the Dreamaster beds is that it is compatible with so many different types of furniture. Our mattresses come in the industry standard sizes like queen and king size beds and in most cases are able to be used in your pre-existing furniture. Also, this means of course, that you can use your current linen and manchester on your new waterbed. We can also make custom sized bed of just about shape and dimension. Our Dreamaster 2500GC foam baths use only the best deep well foam baths, made from the highest quality SPECIALISED Dunlop foams, and all are reinforced around the edges where wear and tear can occur, like where you get in and out of bed. This is the the thickest, most hard wearing and practical foam on the market. Paired with our Diamond Ovation 555 mattresses, this represents the ultimate in comfort and unsurpassed quality which lasts and lasts and lasts. The Dreamaster Ovation 555 comes complete with a 5 year warranty. Unlike other manufacturers, we guarantee the baffles inside the mattress as well as the reinforced seams and corners. No other suppliers are prepared to offer a warranty on baffles, but we guarantee it proudly. The vast majority of customers who come into our showroom to compare the budget vs the best … choose our Dreamaster 2500GC Softsider waterbed system. They can see, feel and contrast the difference and they identify that the best is definitely worth it. Our Exclusive Dreamaster and Ovation bedding systems are ONLY available through Dreamlover Waterbed World. They are available in our air conditioned showroom, online and by phone. We have a full range on display for you to compare and contrast, and fall in love with. COME IN, COMPARE AND CONTRAST, AND SEE WHY THE DREAMASTER COMPLETE BEDDING SYSTEM IS THE ‘BEES KNEES’ OF WATERBEDS. Covers made from lambswool, cotton or quilted zippered covers. And even comfort tops for a little bit more luxury. The sides of the covers come in cotton, polyester blend or our new bamboo sides. How high would you like it? 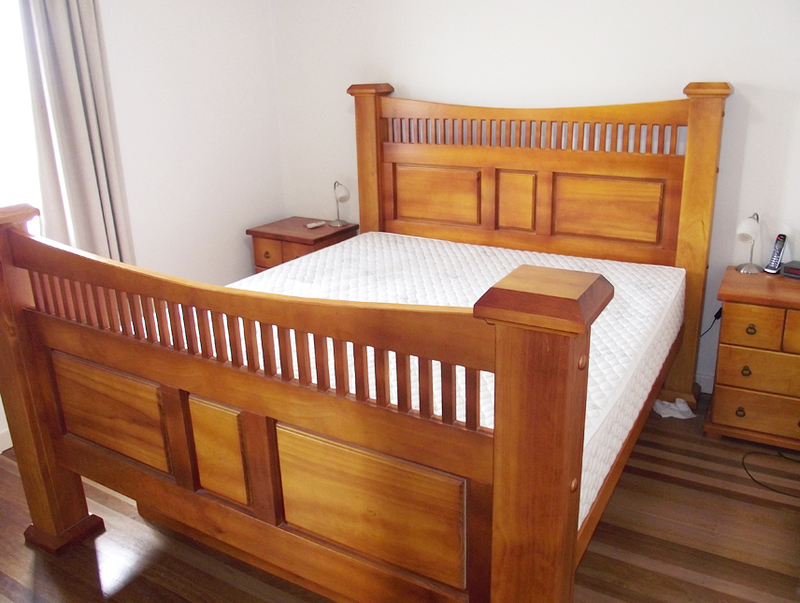 We can customise the height of the bed to whatever measurements you would like. As we get older, it becomes a little harder to get out of a low bed. The old style timber frame beds can be very difficult to get out of for some people. The new softsider waterbeds, like the Dreamaster, make it much easier to get in and out of. Draw bases from 1 to 7 draws, jumbo draws, mega draws, locker bases. Pedestal bases in upholstered fabric, solid pine, MDF compressed board, Melamine, Veneer or we can match other furniture with our range of stains. With or without draws etc. If you feel like a brand new bedroom package, or perhaps just a new headboard, we have a range of beds, bedheads and different configurations that you can peruse here. We also have a limited range in our showroom on display. Dreamlover’s own Dreamaster Diamond Ovation 555 mattress comes complete with a 5 year warranty. Unlike other manufacturers, we guarantee the baffles inside the mattress as well as the reinforced seams and corners. No other suppliers are prepared to offer a warranty on baffles, but we guarantee it proudly. We also offer a ‘B’ series for those who are a little more price sensitive. These are still high quality mattresses that come with a 3 year warranty. Always. We abide by the unwritten rule that the ‘customers needs always need to come first’. Without you, we cannot exist. So we know that we have to get this right. Unlike other manufacturers, we can come out to inspect the mattress in the very rare case of something going wrong. This means that you don’t have to empty the bed yourself, package the mattress, ship the mattress at your expense and then wait for weeks to get it returned. We do charge a call out fee for this service, but this is much lower than the pain of the emptying, packing, shipping and then waiting for the replacement mattress from another supplier. We are the only manufacturer that provides this type of customer care. We are very proud of our Dreamaster bedding system and we very proudly stand by our products and offer this warranty with pride. “when a supplier says this is the best you can get, does it really mean that it is the best you can get from that supplier only. When we say the best, we mean the very best that you can get industry wide”. Dreamlover’s own Premium Foam Cradle – made to our exact specifications and will last for well over 20 years. Dreamlover’s own waterbed mattresses. These bladders come with a 5 year warranty on corners, seams and the baffles inside. These mattresses are made to your preferred comfort levels and are the best in the industry. More information on our mattresses can be found here. Our energy efficient Carbon Heaters (either 240W or 320W depending on mattress size and single or twin bladders) and the platform on which the heaters sit. These elements are 99% efficient with a built in safety cut out. These heaters come with electric and magnetic field shielding technology. Our premium grade zip-on lambswool covers. These are made of genuine export grade lambswool on a polyester base. This is genuine lambswool, and not the fake stuff that some competitors offer. We also have quilted tops available, and for a little extra luxury, we also have comfort tops available too. Safety liners, the only liners we trust. Think of liners as an insurance policy in the worst case scenario. A reliable liner can be a god-send in these types of emergencies. Our complete Dreamaster 2500GC bedding systems can be placed on a (virtually unlimited) range of configurations of bases and pedestals. For a complete round up of all the options available see our customised section. We can also reconfigure your current bedroom furniture if you are interested in keeping your own bedroom suites. With a slight modification, most beds can be changed to support a waterbed system. If this is something that might interest you, please get some measurements, take some photos and either send them via email, or bring them into the showroom and we can customise a simple solution to get you having the best nights sleep you can get. For more information on transforming you own furniture, click here.